Adventures in QuinnLand is a book of fables about a six-year-old little girl, Hilda, and her four-year-old little brother, Tommy, who go to visit their grandparents country farm for the summer holiday. While exploring the farm, they discover, to their amazement, a royal family of frogs ruling as monarchs in the pond behind the old barn in a kingdom known as QuinnLand. Through a series of fanciful and imaginative adventures, children will learn along with Hilda, Tommy, the royal frog family and all the inhabitants of QuinnLand important life lessons that will instill value, honor and good morals. Adventures in QuinnLand is a tool for parents, teachers, caregivers, grandparents, guardians and everyone who dedicates their precious time to nurturing the spiritual, emotional and physical development of children. 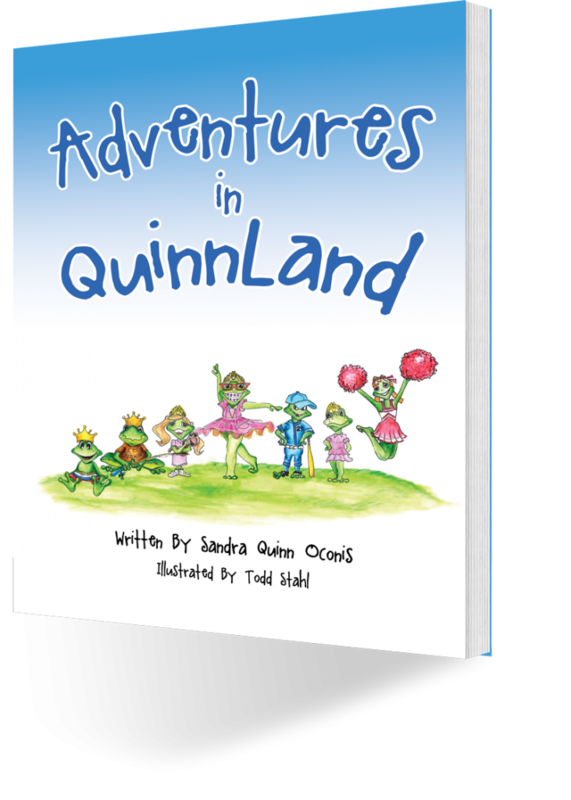 Adventures in QuinnLand promotes strong character traits in children such as self-worth, self-esteem, and respect. Adventures in QuinnLand reaches the child’s whole being: spirit, soul, and body in an inspirational and entertaining style that will engage children with lovable, relatable characters and with storylines that will teach children on their level of understanding. Children will see through the creative way the main characters learn from the valuable lessons they experience that there are consequences to their actions and the importance of responsibility. Topics addressed are thankfulness, self-esteem, middle child syndrome, death, forgiveness, bullying, caring for the planet and so much more.